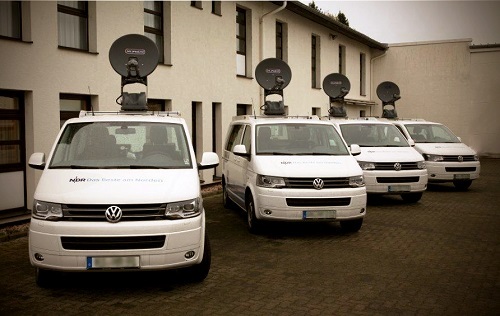 By the handing over to the Landesfunkhaus Niedersachsen in Hannover, SATCOM satellite communication GmbH from Heusenstamm has delivered the fifth KA-SNG-vehicle to the NDR. Besides planning and conception, the content of the order having been realized within four months included the comprehensive mechanic and AV implementation. The vehicles for a trimedial use in the NDR Landesfunkhäuser in Kiel, Hannover and Schwerin as well as in the headquarters of Hamburg are designed for small teams. The production technique has been implemented in a user-friendly manner, so that even non-technicians may work with the vehicles without any problems. The KA-HF-vehicles as they are called at the NDR, combine all types of media. Besides the application for the Internet, particular attention has been paid to the needs of radio broadcasting. The TV-team can go live and realize transfers via IP. Besides a connection via KA-satellite, the radio broadcasting is given the possibility to transfer via UMTS. As Thomas Becke, managing director of SATCOM GmbH said: “It was important for us to build a means of production which is easy to handle and in which the teams enjoy working. Thus, besides the technical components, both the interior concept and the design were close to our hearts.” “The work tables are movable as required and the multiview monitors can be turned down for the ride, so that a good vision through the rear-view mirror is possible”, as Thomas Becke went on. 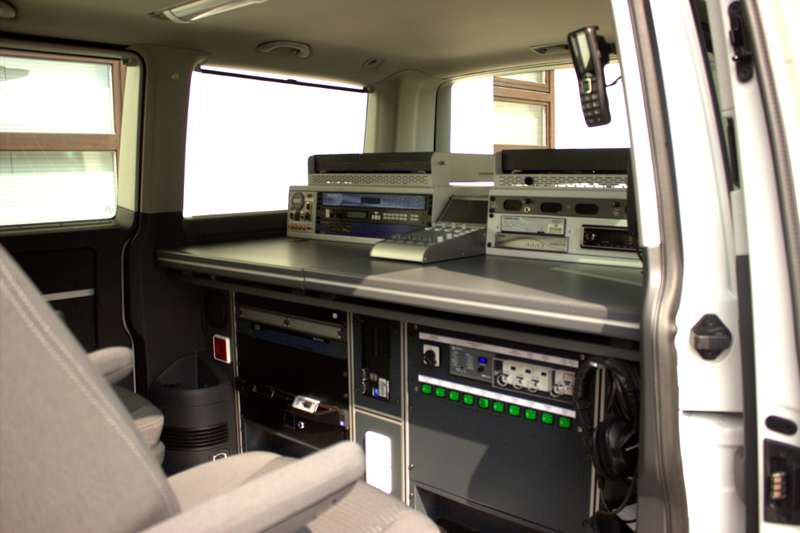 After an intense course of instruction given by SATCOM to the individual teams of the regional studios, the KA-HF-vehicles are in use for the NDR with immediate effect. The order has been realized under the brand “SATCOM MOBILE SALUTIONS” which, just as “SATCOM easyLINK” is a brand of the SATCOM group.